As businesses choose to own less and integrate more, they extend and add complexity to their network of relationships with supply chain and outsource partners. As this happens they also need to extend their internal control, compliance and monitoring processes. This includes controls over contracts, agreements, information, material, labor and capital. How far should your controls reach? How can you effectively monitor them? How far can you afford to reach? 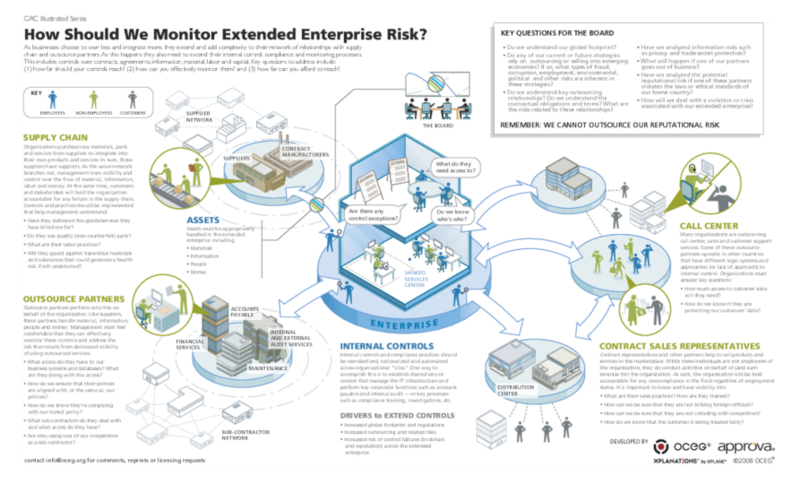 We have emailed instructions to access Illustration – How Should We Monitor Extended Enterprise Risk to . Make sure the email arrives in your inbox: either add "support@oceg.org" as a safe sender to your email platform, or if you use Gmail, drag our email into your Primary tab.